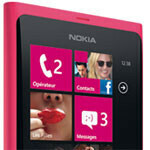 Attempting to appeal to a wider audience, Nokia is releasing the Lumia 800 in three colors – Black, Cyan, and Magenta. 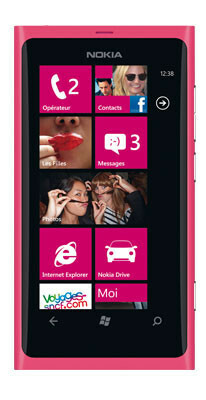 Nokia’s self-proclaimed “first real Windows Phone” has now hit France in its latest color. 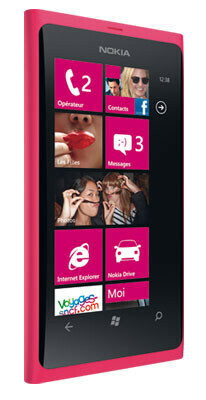 SFR is offering the Nokia Lumia 800 in Magenta. If you have a lady, or an extremely confident gentleman, on your holiday shopping list that has been eyeing one of these, they are in stock now at SFR. Can anyone read and understand french better than I can to see if you can buy it outright. This would be a really nice gift. I live in the states. Tmobile US. should have dropped these instead of that corny 710.
would have fit tmo slogan perfectly: mangenta and lunia 800 magenta. Good sales pitch. instead tmo picks up the 710. Just plain stupid! @operator36 I believe the 3G bands in France are different from those in the States so I don't think it's wise to buy your phone from SFR Paris. Why are so many poeple stoneing T- Mobile for starting to sell the Nokia Lumia 710. it's a smart move not a dumb one because a lot of people cannot afford or donot want to spend 500 dollars or more for any smart phones a lumia 710 will sell for 370 USA dollars which means with state Taxes added it will still cost under 400 dollars and it's all yours. to a lot of People thats affordable. Forks out their in the internet how much are you willing to pay for a good smart phone 400, 600, 800. 1000. 1200 dollars. I would like to know what you think smart phones should cost with or without a front facing camera. You better check galaxy s and iPhone sales figures before you talk this "can't afford" crap! It just f**king lame excuse for a loser carrier! Its that BS kind of thinking is why Tmo is struggling!